Many families have gotten away from the tradition of sitting down together for breakfast in the morning, lunch at midday, and dinner every night. It’s easy to see why if you look at all of the events and errands that take place on any given day. Kids have after-school activities, dental appointments, and doctor visits. (Hopefully, you don’t need to add detention to that list!) Parents, on the other hand, are usually dropping the kids off somewhere either before or after work and running errands. 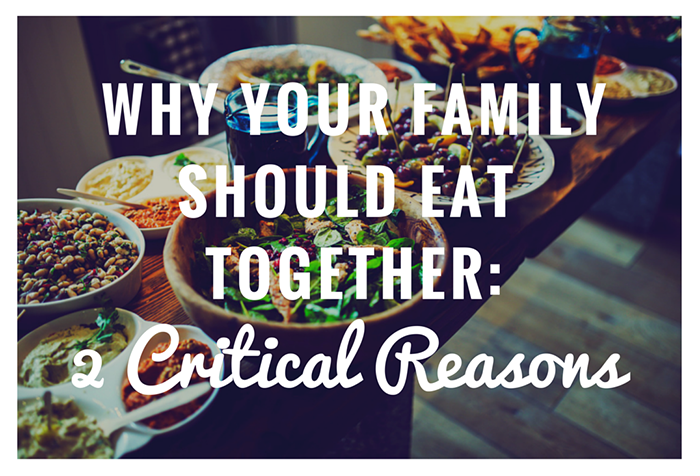 It isn’t always an easy task to arrange for a meal when everyone is at home at the same time. According to one recent study (published in 2011 in the Journal of the American Academy of Pediatrics), children are less likely to develop bad eating habits, or worse yet, eating disorders, if they have the opportunity to sit down and enjoy a traditional family meal setting each and every day. In fact, the same study also suggests that children who eat with their families are more likely to develop good eating habits like choosing healthier foods over unhealthy ones. Of course, it’s important to realize the roles of parents in this scenario, particularly because most children learn by example. If parents fail to serve nutritional meals during family meal times, it will become more difficult for their children to develop good eating habits. On the other hand, parents who continually place an emphasis on healthy choices such as fresh vegetables and fruits, lean meats, and whole grains is giving their child an opportunity to learn how to eat healthy. Thanks to technology, parents today might never see their kids if they didn’t need to drive them to school or a friend’s house. Everyone is texting instead of talking. While this might be an exaggeration, it holds true to a certain extent. Just look around you. How many people are on their phones right now? Despite the ease with which many people become more comfortable talking to their friends and family members via email and texting, one-on-one communication that is accomplished in person is extremely critical. Despite the fact that texting shortcuts like “lol” and “omg” might regularly appear in your child’s messages, does this actually tell you anything about your kid? Do you know for a fact that your child is happy? Would you be able to recognize if your child was hiding behind the screen because he didn’t want you to see how unhappy he is? 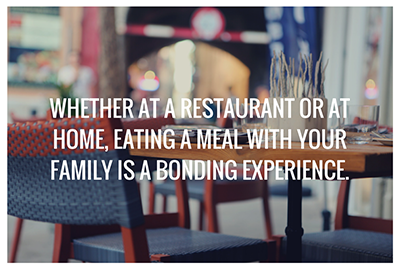 Family mealtimes are good opportunities for bonding. They provide a chance not only to share the day’s events but also to get to know each other a little better. Even without a food fight, you’re more likely to discover what makes your child laugh or cry over a family meal than you are through a short text message that you had to learn how to decipher before you even knew what it meant. A professional freelance writer, Susan M. Keenan holds a Master’s Degree in Community Psychology (Temple University) and a Bachelor’s Degree in Sociology (La Salle University). Prior to writing, she taught computer technology in private elementary schools. She is married and has four grown children, each of whom has graduated from college, and a granddaughter. Susan served as a Cub Scout Leader for seven years and volunteered at her childrens' schools for eighteen years in many capacities.